It was back in late 80s when Doordarshan channel came up with a bunch of entertaining television series that left a permanent mark on every citizen’s heart. The era had witnessed a lot of sensitive issues starting from patriotic issues to conventional middle class family problems, the channel never failed to amaze people. The shows unlike today were relatable and the best part about the shows was they were all finite shows. Buniyaad is one of those names in television industry that every single Indian knows about. The show had everything related to independence activities back in 1947. Alok Nath, the well known veteran actor portrayed a character of a teacher and a freedom fighter on the show. 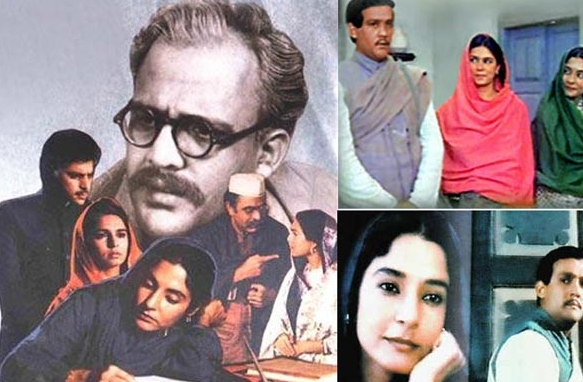 The finite show, Buniyaad was in much talk back at that time due to showing so many sensitive and emotional issues that took place during independence. It is obvious that people who were born during 80s or mid 70s or today’s generation kids are not aware of what happened during the independence fight. The show is the best way to know about it. As mentioned the show was based on freedom fighters who have lost their life and family for our motherland. It was about the lead character Master Haveliram who was also a freedom fighter. The show was all about the after effect of the partition. Buniyaad depicted the situation where the North Indians had to leave their half the family, roots and many more behind after the partition. Same happened with now Pakistanis who had to leave their roots and family in India because a line was made between them. More over the show had shown how people got affected by this partition and how they had adjusted with the situation in the country at that point of time. Buniyaad was an emotional show that had a number of characters depicting various emotional issues. Due to censor board’s certification problem the channel didn’t show any of the violent scenes like riots, refugee camps, or anything related to Mahatma Gandhi in this regard. The show was a clean emotional drama soap that used to air twice in a week. Some of the episodes of the show depicted the progress of lifestyle of the people who had to leave their roots due to partition. Kanwaljit who had made his debut with the show played a significant role. There are other actors as well who had shown different characters on the show. Buniyaad was one of the most popular shows in Indian television till now. The show used to air on National Channel back in 80s. After that the show re-aired many times in several other private and national channels. It is obvious that the relevance of the show is still the same as back in 80s. The show had shown how people faced situations that were intolerable. We will never get to know how it feels when you are asked to leave your roots and by force you have to live in a different place. The North Indians, especially the old people who still had that painful childhood memories of partition will probably never forget the events until their last breathe. The show showed how people’s life had changed after the partition. How they had to face so much pain and problems to cope up with the situation at that point of time. Buniyaad gave us Goosebumps as it showed the life of Master Haveliram. We all have read about freedom fighters in our history and story books, but watching them live or living with them for long half an hour is something else. The show was a teacher and perfectly relatable as many of the north Indians had faced such situation back at their childhood time.